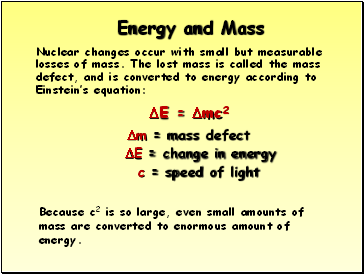 Because c2 is so large, even small amounts of mass are converted to enormous amount of energy. 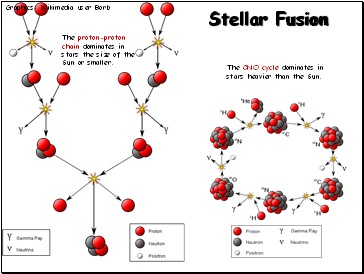 Fusion: Combining two light nuclei to form a heavier, more stable nucleus. 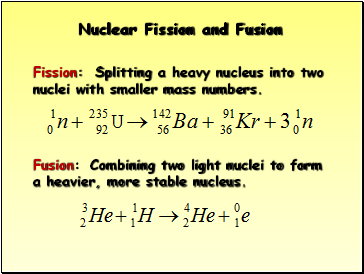 Fission: Splitting a heavy nucleus into two nuclei with smaller mass numbers. 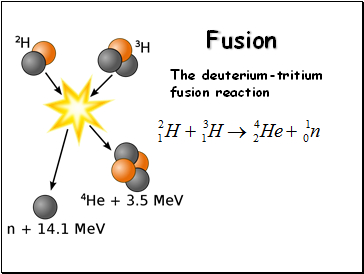 A uranium-235 atom absorbs a neutron, and fissions into two new atoms (fission fragments), releasing three new neutrons and some binding energy. 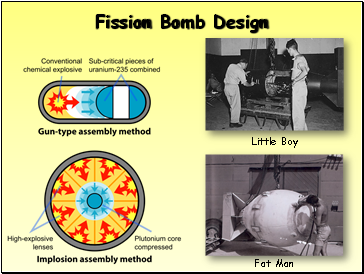 One of those neutrons is absorbed by an atom of uranium-238, and does not continue the reaction. Another neutron is simply lost and does not collide with anything, also not continuing the reaction. 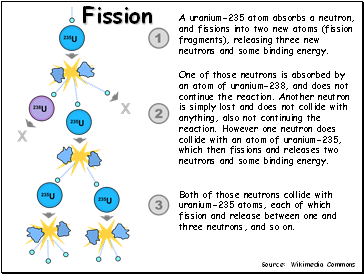 However one neutron does collide with an atom of uranium-235, which then fissions and releases two neutrons and some binding energy. 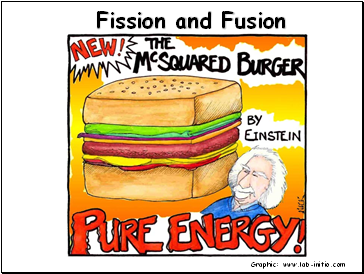 Both of those neutrons collide with uranium-235 atoms, each of which fission and release between one and three neutrons, and so on. 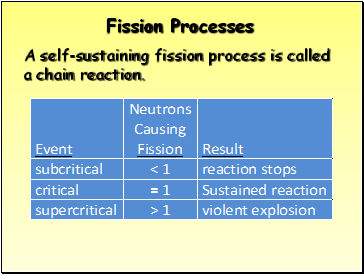 A self-sustaining fission process is called a chain reaction. 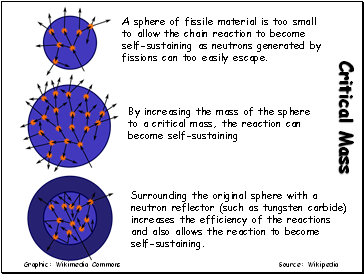 A sphere of fissile material is too small to allow the chain reaction to become self-sustaining as neutrons generated by fissions can too easily escape. 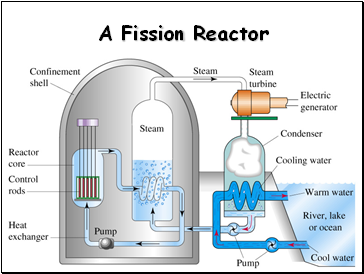 Surrounding the original sphere with a neutron reflector (such as tungsten carbide) increases the efficiency of the reactions and also allows the reaction to become self-sustaining.